During the prep work for a new wood floor Idiscover a sharp ridge in the subfloor of one area of my house.About 1//4" of material had to be removed over a large area toflatten the subfloor. The prefect, and probably only, tool for thisjob is a power plane. 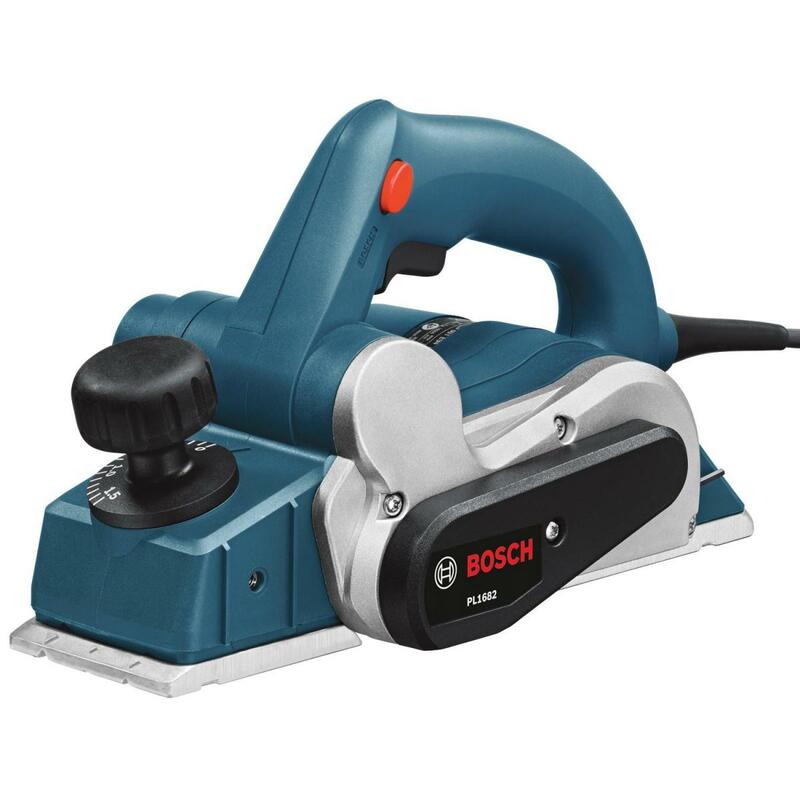 After doing some research I decided to getthe Bosch PL1682, a powerful and affordable power plane. Let's takea look at how well it performed. Hand planers are powered handplanes. They are used to flatten surfaces and to remove small amounts of material. Power planes remove a lot of stock with each pass. Good hand planers have a strong motor that is up to the task. The width of the plane determines how much material can be removed per pass. For finish carpentry and construction a ~3" wide plane works best. "The PL1682 has a good motor It cuts very fast and clean. The knives wear quickly and shatter easily. The dust port clogs without a filter attached."